The AIADMK has joined hands with the BJP for an eight-party Lok Sabha alliance, as Tamil Nadu goes to the polls on April 18. The AIADMK, the ruling party in Tamil Nadu has joined hands with the BJP, the ruling party at the Centre, for an eight-party Lok Sabha alliance as the state goes to polls in less than a month. The other parties in the alliance are DMDK, PMK, Puthiya Tamilagam, Puthiya Needhi Katchi, Tamil Maanila Congress and NR Congress. With alliance talks concluding earlier this month, the AIADMK-led alliance released its seat-sharing arrangement, candidates and manifesto for the elections that will decide Tamil Nadu’s representatives at the Centre. The polling day in the state is Thursday, April 18. 1. Arakkonam - The AIADMK’s alliance partner PMK will be contesting from the Arakkonam parliamentary constituency. Representing the PMK is party Deputy General Secretary and former Union Minister for State, AK Moorthy. He had earlier been elected as MP twice from the now defunct Chengalpattu Lok Sabha constituency. 2. Arani - The AIADMK’s current Lok Sabha MP from Arani, V Elumalai, is seeking re-election from the constituency. 3. 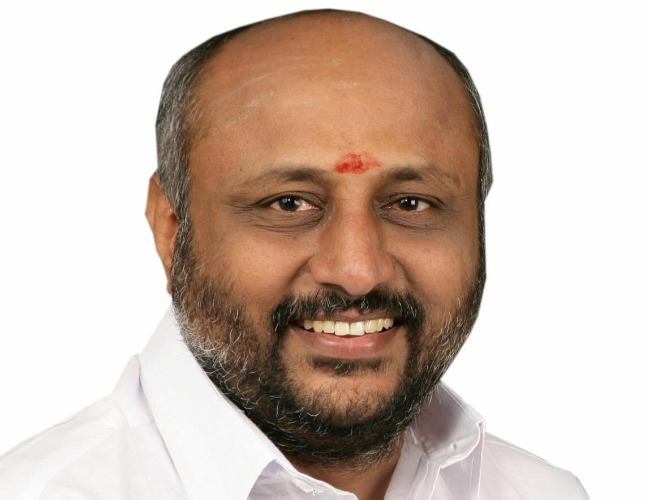 Chennai Central - The PMK’s lawyer-businessman candidate Sam Paul is contesting from the Chennai Central Lok Sabha seat. 4. Chennai North - R Mohanraj of Vijayakant's DMDK is the AIADMK-led alliance's candidate for the Chennai North constituency. He was formerly the party's MLA from Salem North. 5. 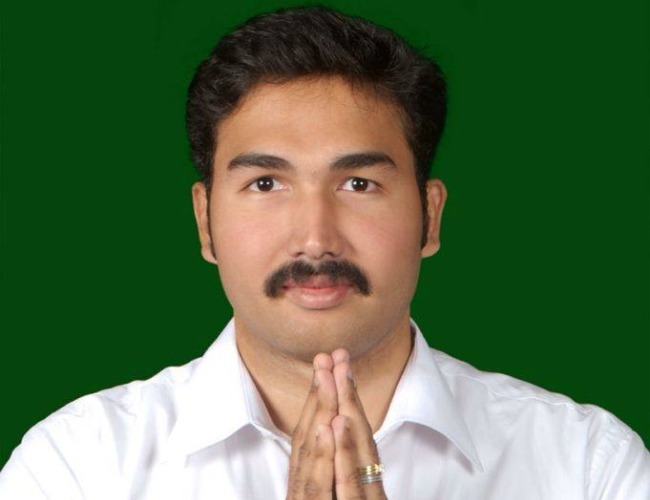 Chennai South - Chennai South MP Jayavardhan Jayakumar, son of senior AIADMK leader and the state’s Minister for Fisheries D Jayakumar is seeking re-election from the constituency. 6. Chidambaram(SC) - P Chandrasekar will be the AIADMK candidate from the Chidambaram parliamentary constituency, which is a reserved constituency. 7. Coimbatore - The alliance's candidate from Coimbatore is CP Radhakrishnan of the BJP. A former MP, he was also previously the BJP’s state chief. 8. Cuddalore - R Govindasamy of the PMK will contest from Cuddalore. 9. Dharmapuri - Current MP and former Union Minister Anbumani Ramadoss will seek re-election from the Dharmapuri Lok Sabha constituency. 10. Dindigul - PMK's K Jyothi will seek votes from the Dindigul parliamentary constituency. 11. Erode - The AIADMK’s G Manimaran is the party’s candidate from Erode. 12. 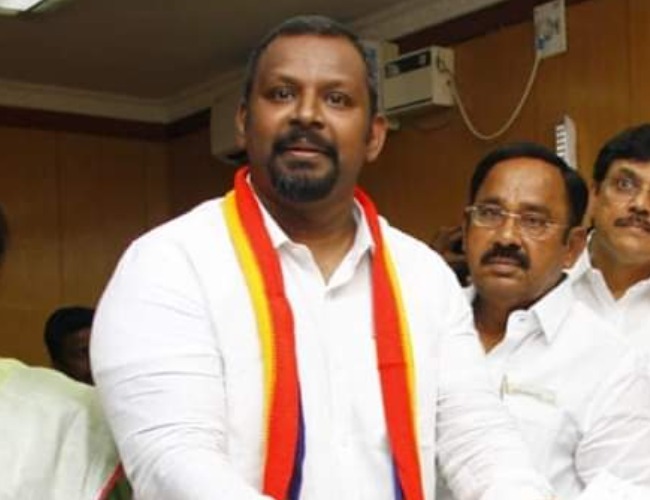 Kallakurichi - DMDK Deputy General Secretary LK Sudhish, who is also party founder Vijayakant’s brother-in-law is the alliance’s candidate from here. 13. Kancheepuram(SC) - Sitting MP Maragatham Kumaravel of the AIADMK is seeking re-election from the Kancheepuram reserved constituency. 14. 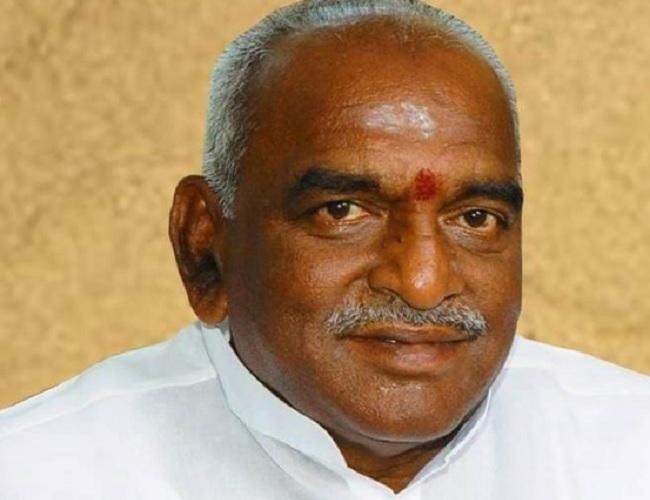 Kanyakumari - Union Minister of State for Finance and Shipping Pon Radhakrishnan, who is also the sitting Member of Parliament from Kanyakumari, is seeking re-election. 15. 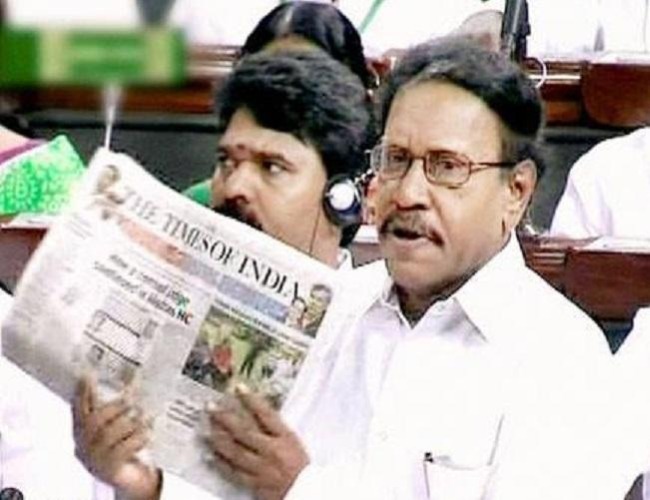 Karur - Senior AIADMK leader and Lok Sabha Deputy Speaker M Thambidurai, is once again the party’s candidate from Karur. 16. Krishnagiri - Senior party leader KP Munusamy, who was part of the AIADMK's core committee to engage in seat-sharing talks, is the party’s candidate from here. 17. Madurai - Son of AIADMK’s Madurai North MLA and Secretary of the AIADMK’s IT Wing, VVR Raj Sathyan has been given the ticket to the Madurai parliamentary constituency. 18. Mayiladuthurai - The AIADMK’s S Asaimani is contesting from here. 19. Nagapattinam(SC) - The AIADMK's M Saravanan is contesting from the Nagapattinam reserved constituency. 20. Namakkal - AIADMK’s P Kaliappan is contesting from Namakkal. 21. Nilgiris(SC) - M Thiagarajan is the AIADMK’s candidate from the reserved constituency of Nilgiris. 22. Perambalur - The AIADMK's former state minister NR Sivapathy is the candidate here. 23. Pollachi - AIADMK MP C Mahendran is seeking re-election from his current constituency of Pollachi. 24. Ramanathapuram - The BJP’s Nainar Nagendran is contesting from Ramanathapuram. Nagendran, a former AIADMK MLA from Tirunelveli had left the party in 2017, following the infighting in the aftermath of former Chief Minister J Jayalalithaa's death. 25. Salem - KRS Saravanan, the AIADMK’s zonal secretary from Salem North, is contesting the parliamentary seat from the district. 26. Sivaganga - BJP National Secretary H Raja is contesting from the Sivaganga parliamentary constituency. 27. Sriperumbudur - A Vaithilingam of the PMK is the party’s candidate from the Sriperumbudur Lok Sabha constituency. 28. Tenkasi(SC) - Dr K Krishnaswamy, founder and chief of the Puthiya Tamilagam is contesting from the Tenkasi reserved constituency. The party, which caters largely to Devendra Kula Vellalar community, would be contesting on the AIADMK’s ‘two leaves’ symbol. 29. Thanjavur - NR Natarajan of GK Vasan’s Tamil Maanila Congress is contesting from the Thanjavur parliamentary constituency. The party will be contesting on the 'cycle' symbol allotted to them by the Election Commission. 30. 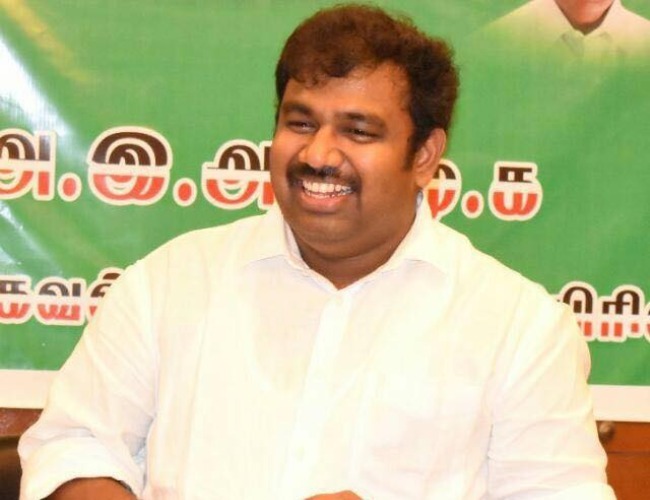 Theni - Tamil Nadu Deputy Chief Minister and AIADMK Coordinator O Panneerselvam’s son, P Raveendranath Kumar will be making his electoral debut as the party’s candidate from the Theni parliamentary constituency. 31. Thiruvallur(SC) - AIADMK MP P Venugopal is seeking re-election from the Thiruvallur reserved constituency. 32. Thoothukudi - BJP state President Tamilisai Soundararajan is contesting from the Thoothukudi parliamentary constituency. This will be the leader's second parliamentary bid. Her candidature for the BJP from the Chennai North constituency in 2009 had been unsuccessful. 33. Tiruchirapalli - The DMDK's presidium chairman Dr V Ilangovan will contest from Trichy. 34. Tirunelveli - Paul Manoj Pandian, former MLA from the now non-existent Cheranmadevi assembly constituency and son of former AIADMK MLA PH Pandian, is the party's candidate from Tirunelveli. 35. Tiruppur - Former minister and Tiruppur North MLA, MSM Anandan, is contesting from the Tiruppur parliamentary constituency. 36. Tiruvannamalai - Former state minister ‘Agri’ SS Krishnamoorthy has been given the AIADMK’s Tiruvannamalai ticket. 37. Vellore - Puthiya Needhi Katchi founder AC Shanmugam will contest from Vellore. The businessman is also the chancellor of the Dr MGR Educational and Research Institute. 38. Villupuram(SC) - Senior PMK leader Vadivel Ravanan will be contesting from the Villupuram reserved constituency. 39. 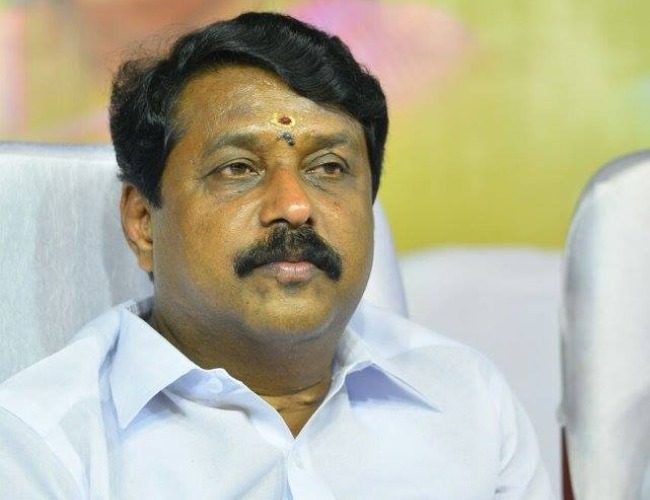 Virudhunagar - Senior DMDK leader R Azhagarsamy will be contesting from Virudhunagar. 40. Puducherry(Union Territory) - Newbie politician K Narayanasamy of the NR Congress will contest from the lone Puducherry parliamentary constituency. A doctor by profession, Narayanasamy's father was the government whip of the union territory's Legislative Assembly.